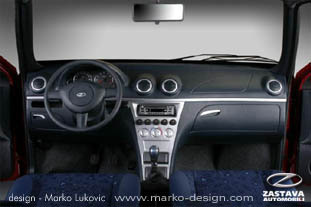 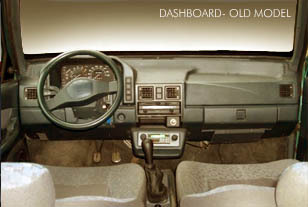 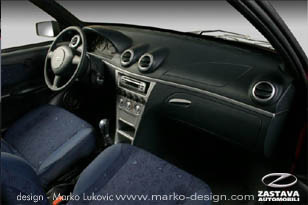 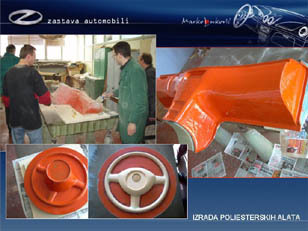 for Serbian national automobile company ZASTAVA-AUTOMOBILES. 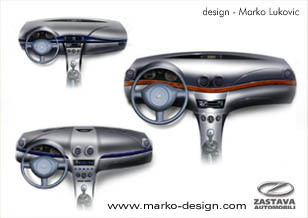 Design was made from initial ideation sketches trough 3D CAD model, CNC milling machine, epowood model, fiberglass tools, prototype and finally as a serial production model. 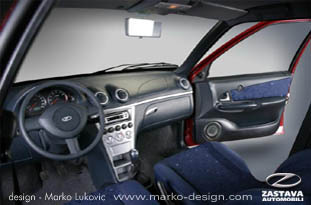 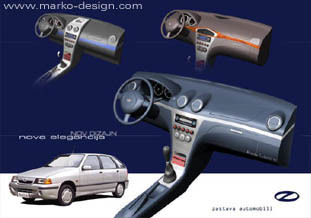 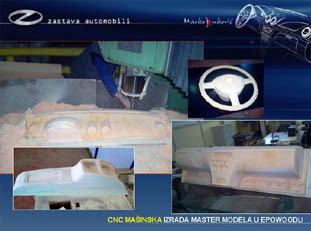 All phases of the project were made in co-operation with team of engineers, constructors, modelers of INSTITUTE FOR AUTOMOBILES, (Research center) of ZASTAVA-AUTOMOBILES, Kragujevac, Serbia.